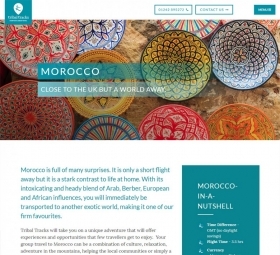 Tribal tracks is a brand new group travel company inspired by their love for travel. 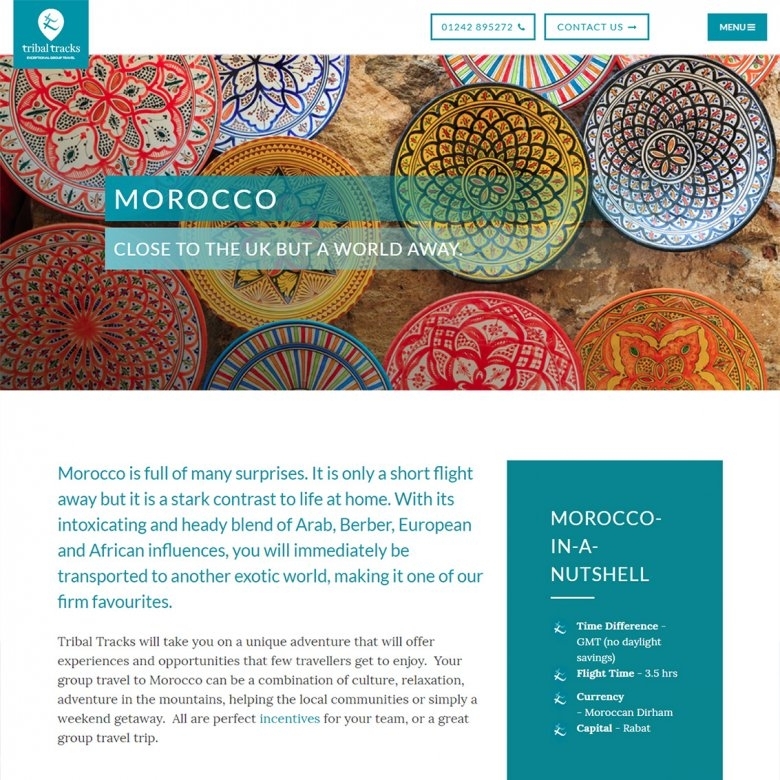 It's the brainchild of Charlie and Gaynor's vision to find truly unique travel experiences. 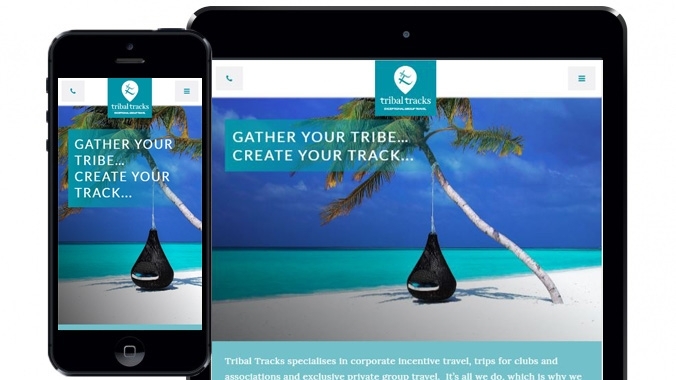 Tribal Tracks came into the office initially to discuss their vision and provide examples. 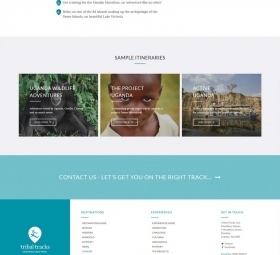 They needed a brand and a website that would stand out and appeal to a high end target audience. We decided that imagery was important to get across feelings so a professional modern website design with good use of white space would help make them pop. 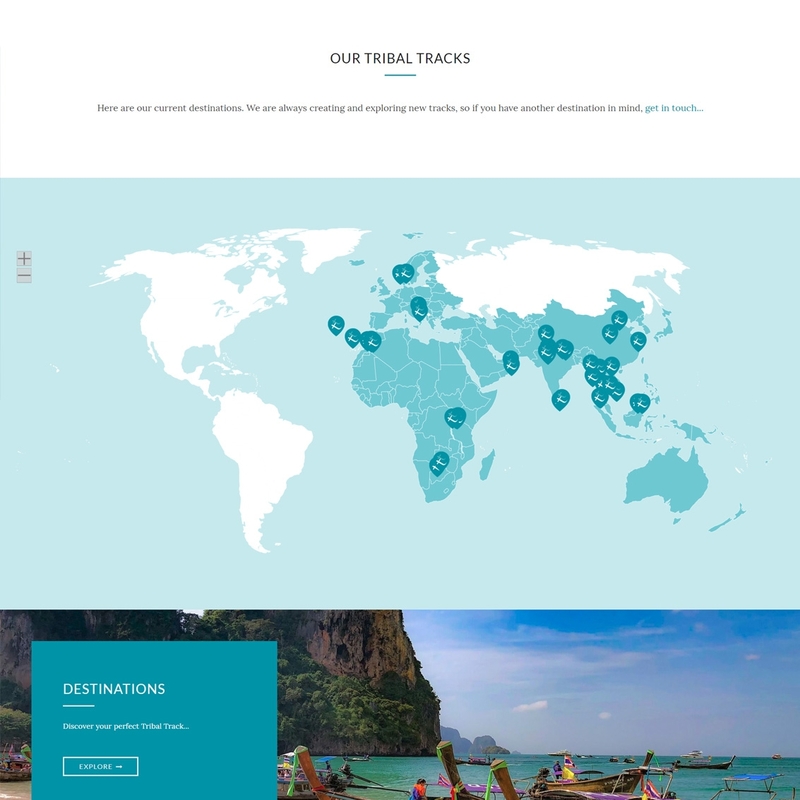 One of the main ideas they had was to have an interactive map to help guide the user through their many destinations and tour ideas. For the brand it was important to use colours that would work with the striking imagery used, blues and greens or a blend of both. The T's on the logo form two aeroplanes on their side. They also form part of a shield which emphasises the tribal aspect of their name. The graphic forms a map marker which they can use throughout their brand. 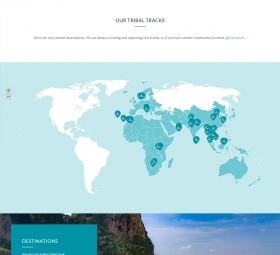 The map was custom designed to show each destination along with it's tours. Again the logo is used here. The responsive design results in a clean, fresh look with a modern feel. The user journey was a thought about from the start as it was important for them to find the information they wanted and quickly. Call to actions on every page help users get in touch at any point on the website. 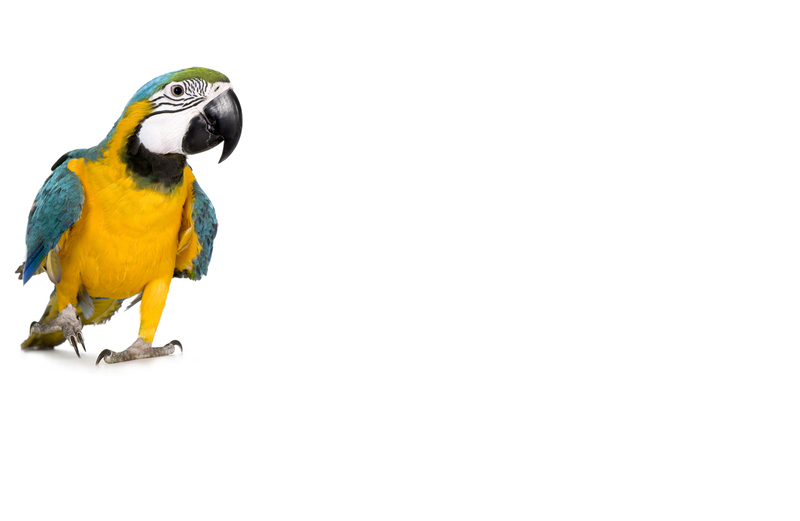 Search engine optimisation was important to our client due to the competition of the market. Research helped us to optimise core pages for top keywords and make sure content was correctly linked. 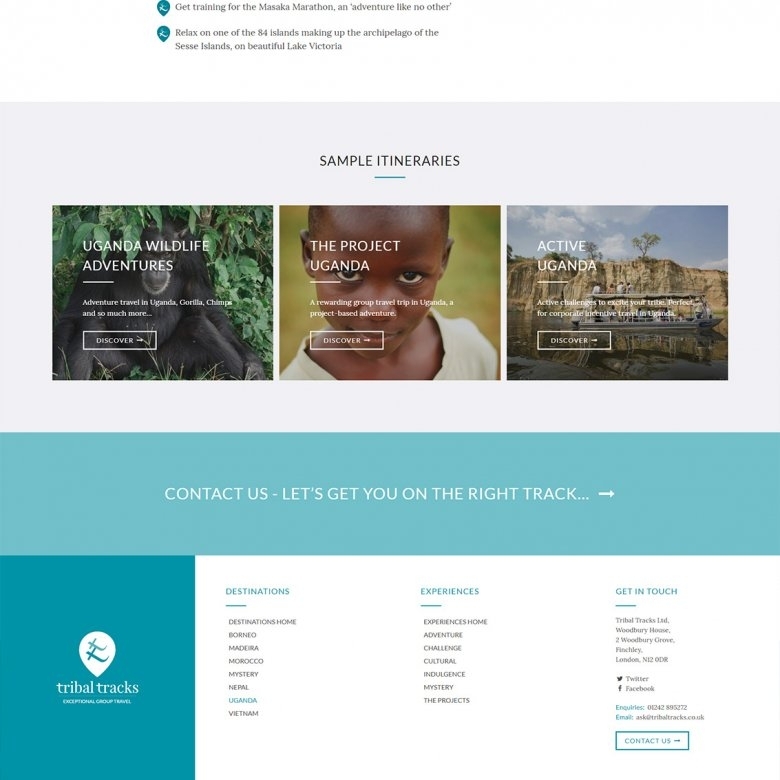 If you are looking for a tour operator website for your business contact us today at Webbed Feet.